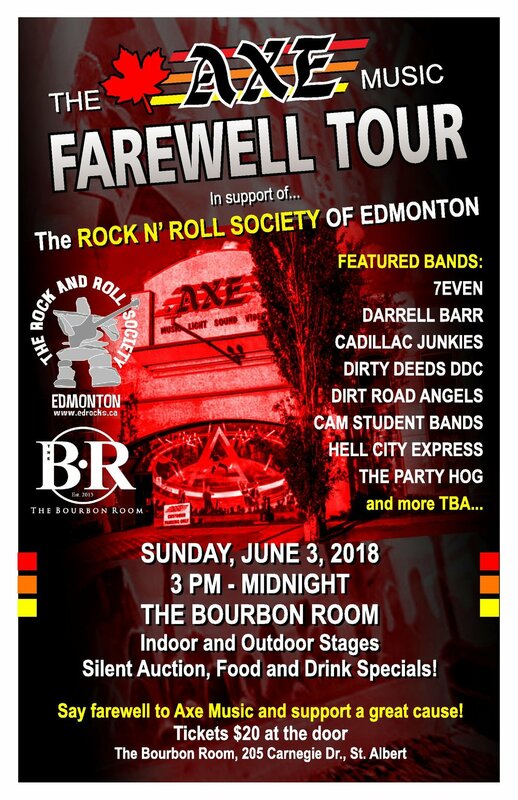 featuring: 7Even, Darrell Barr, Cadillac Junkies, Dirty Deeds DDC, Hell City Express, The Party Hog, Rockzilla, The Rock N' Roll Society Kids and more TBA. Sunday June 3 3PM to Midnight. The Bourbon Room. Indoor and Outdoor stages, silent auction, Food and Drink specials. Say farewll to Axe Music and support a great cause. Tickets $20 at the door.